Tired of the classic movie and dinner date night combo? Us too. 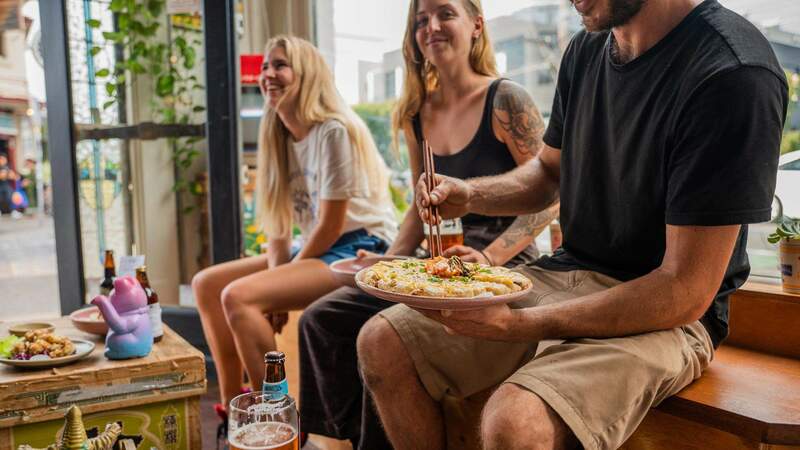 That's why we're always on the hunt for new things to do, scouring the city for not-boring Melbourne activities — ones that are guaranteed to take your next date way beyond done-before beers at the pub. Whether you're taking someone on a second date or doing your 100th with your significant other, we've got some killer (and, yes, cute) ideas for dates to go on this week, no matter how much money you've got to spend. Just think of us as your cultural wingman. You're welcome. 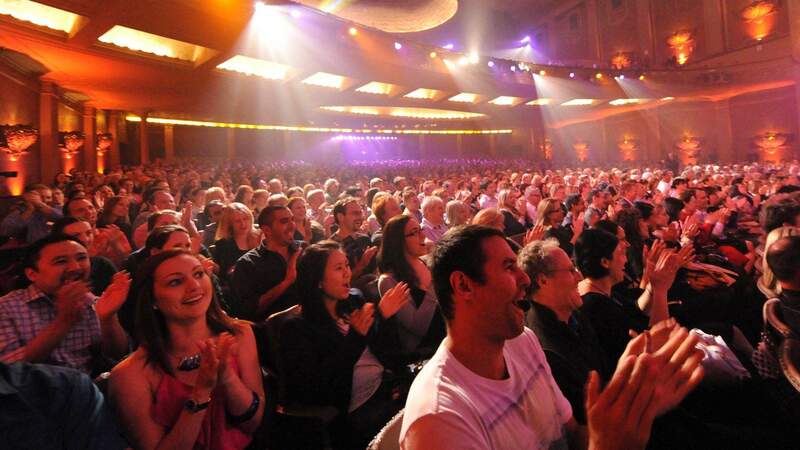 The Melbourne International Comedy Festival is in full swing, with comedic talent taking over theatres, bars and clubs all over the city. And while lots of shows will set you back a few dollars, there are a few that you can attend gloriously cash-free. Every night this week (except Sunday), Highlander bar in the CBD will host a free show at 6pm. It's the perfect after-work date if you both work in the city. Tucked away in the historic town of Ballarat is an extensive exhibition of Pablo Picasso prints, making it the perfect excuse to escape the inner city for the day. 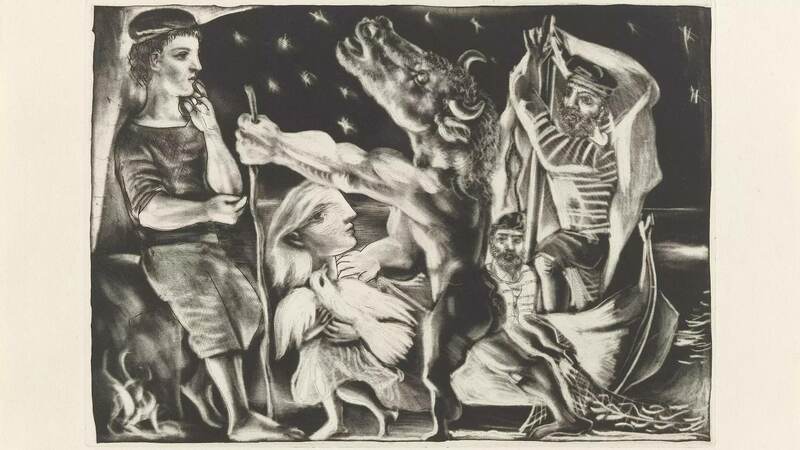 Picasso jammed plenty of creativity into his 91-year life, including paintings, sculptures, prints, ceramics, stage design, plays, poetry and more. During the 1930s, he also etched and engraved a set of 100 pieces, in a series that was named after the art dealer who commissioned them: The Vollard Suite. Produced over an eight-year period, the collection takes inspiration from stories, tales and myths, as well as the human form, his mistress and politics at the time. In other words, it proves an artistic overview of his favoured themes and fascinations, while also offering an autobiography of sorts. You'll be able to catch The Vollard Suite at the Ballarat Art Gallery until Sunday, April 28 so we suggest you go this week to avoid the last minute crowds. And while you're there you may as well take a poke around Ballarat. If you've ventured down Collingwood's Wellington Street lately, you probably would have been intrigued by a certain eye-catching corner building, decked out with a bold black and white façade. Melbourne. Time to check it out. 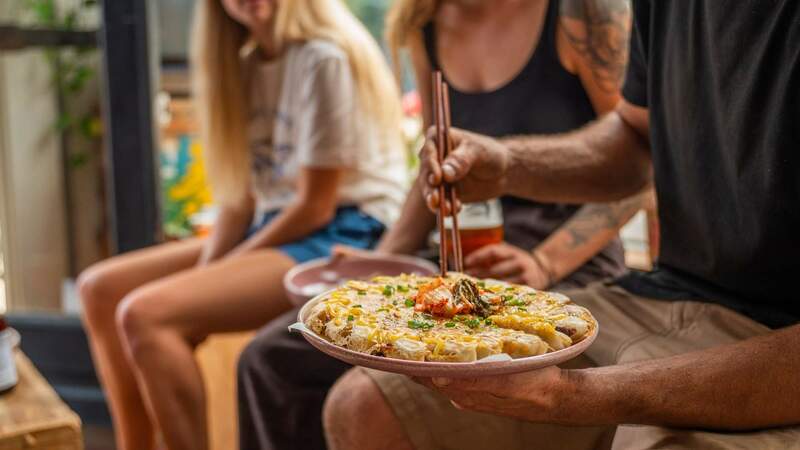 At Chotto Motto, it's the humble gyoza that reigns supreme, specifically crisp-based Hamamatsu-style dumplings that are served as a group, flipped upside down. Grab a 10 or 20-piece feed, in flavours like spicy kimchi miso pork, free-range chicken and coriander, or the vegan-friendly nasu dengaku eggplant. Get a plate of 20 of them for $32 (and get it topped with cheese for another five bucks). Artists and animals are set to collide in the city this autumn. 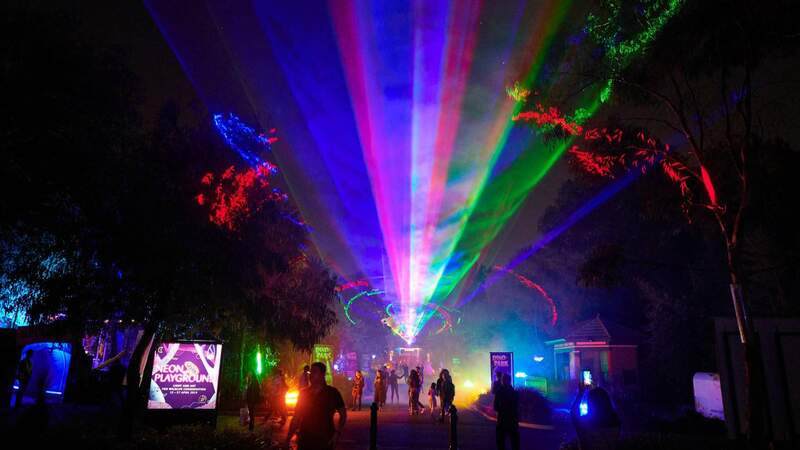 Melbourne Zoo has transformed into an extravaganza of lights, projections, installations and interactive performances for Neon Playground. You and your partner's journey begins at the entrance, where multidisciplinary artist Kit Webster will take inspiration from the Art Deco features of the Zoo's magnificent gates with a towering light installation. From there, step into Awareness Alley, to immerse yourself in a blaze of lasers created by Robin Fox, and then learn about the Zoo's battle against extinction, thanks to the colourful artworks of Carla O'Brien. These are just the tip of the iceberg. When you're feeling peckish, head into Carousel Park, to discover Relaxoland — a myriad of pop-up bars and food trucks. Neon Playground runs nightly from 5.30–9.30pm. Tickets are $39 each and are available here. If you and your loved one are theatre-goers, you may consider seeing one of the most iconic love stories in the history of musicals — West Side Story — before it finishes up next week. 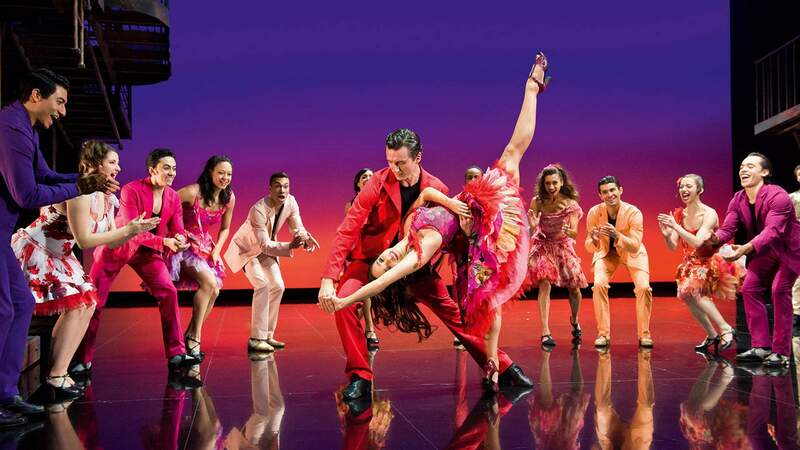 Six decades after West Side Story first hit Broadway, the acclaimed musical has returned to the Australian stage at Arts Centre Melbourne. Headed up by two-time Tony Award nominated choreographer Joey McKneely, the award-winning production reimagines the famous tale of rival street gangs in 1950's New York City. It's a Romeo and Juliet-style classic that's enchanted audiences in countless iterations over the years. The musical will feature all the hit songs — including 'I Feel Pretty', 'A Boy Like That', 'Something's Coming', 'America' and 'Maria' — along with Jerome Robbins' (the Broadway show's original creator) ground-breaking choreography. Tickets range from $59.90—$179.90 and are available here.